China 3.0 - Cui Zhiyuan. Where will the Chinese economy be in 2030? 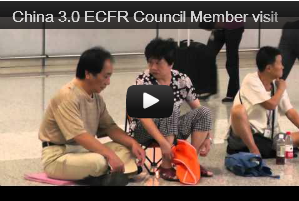 China 3.0 ECFR Council Member visit. ECFR's China programme has published 'China 3.0: What does the new China think and what does it mean for Europe? ', a unique collection of essay by China's most prominent thinkers. The publication provides an unrivalled insight into the big debates that are taking place within Chinese elites about the future of Chinaâ€™s growth model, its political system and its foreign policy. The authors argue that China could be on the verge of a change as significant as Mao Zedongâ€™s communist revolution (China 1.0) and Deng Xiaopingâ€™s market revolution (China 2.0). The meaning of the Chinese "new era" is tied to Xi Jinping. This publication explores how much his increased ideological control is changing China.